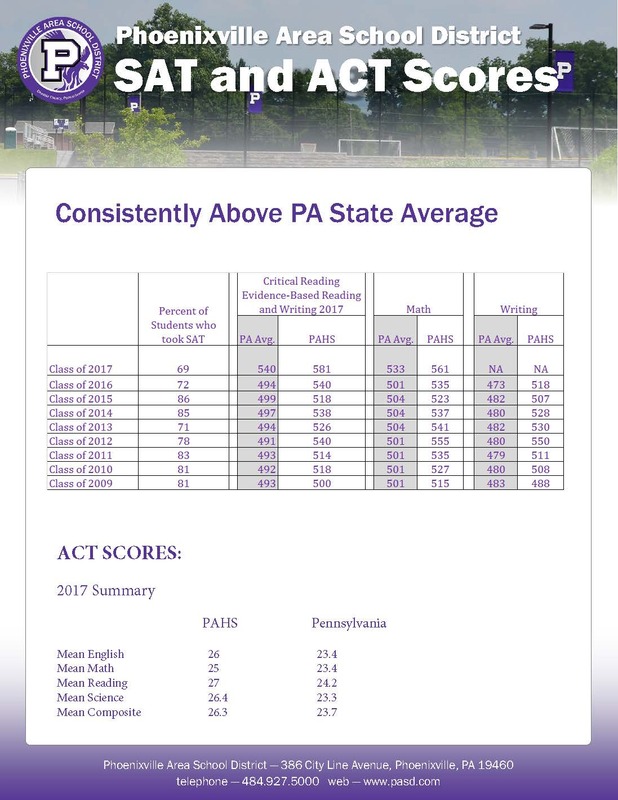 Students in Phoenixville Area School District continue to excel academically. The information below highlights the academic accomplishments of our students. The PA Department of Education website contains specific PSSA results and Adequate Yearly Progress Results. Click here to access the Department of Education. The School Performance Profile (SPP) is the current “report card” for all schools in the Commonwealth. This will be the final year that the SPP system is used for school and district accountability. The new Future Ready PA Index will be the new system that is being introduced by the Pennsylvania Department of Education. The current SPP system and the score that the system produces is made of standardized scores (PSSA/Keystones), Closing of Achievement Gap, PVAAS Growth measures, graduation rates, promotion rates, attendance rates and extra-credit for advanced scores.